If you’re not building your email list, you’re an idiot. For most bloggers, the real money isn’t made through your blog. It’s made by promoting products to those who have opted-in to your newsletter. Therefore, your main goal should be to get people onto your email list and into your sales funnel. However, this is easier said than done. Convincing readers to part with their email is harder than ever before and you’ve really got to go above and beyond your competitors if you want to win your visitor’s emails. Here are 25 guaranteed ways to increase email opt-ins from your blog. First and foremost, you’ve got to use a good email marketing service. Everything else from here on out will be pointless if you’re using a horrible, free service such as MailChimp. The single most important thing you can do is use a great email marketing service like GetResponse. Aweber is another solid choice, but I prefer GetResponse because they have more features I actually use. If you haven’t already, I highly recommend checking them out. It would be a real shame if your list was wiped out because the free marketing service you chose decided that they didn’t like you. Single vs double opt-in has been an ongoing debate for years now. It’s argued that double opt-ins lead to a more engaged audience and less spam complaints. You’ll also pay less using double opt-in, because you won’t have to deal with the issue of fake emails. However, these really aren’t as important as they are made out to be. Using single opt-in, you not only get all the people that would’ve taken the time to verify their email, you also get all the extra people that would not have. Let’s be realistic – people are busy. They forget things. Many people will not take the time to go searching through their spam or junk folder to find your opt-in verification if it ends up there. You can avoid spam complaints by making it clear that they can unsubscribe easily at any time. Finally, if you’re using a service like GetResponse, you won’t pay any extra charges for fake emails. Look around this site. How many opt-in forms do you see? There are four. One at the top of the page, one on the sidebar, one at the bottom of each post, and one pop-up that activates once you scroll all the way down the page under certain conditions. These opt-in forms convert at 0.8%, 1.97%, 2.9%, and 8.22% respectively, although the pop-up isn’t displayed very often. This brings the opt-in rate for a new visitor that triggers the pop-up to an incredible 13.89%, with a site-wide average of just under 10%. Every single opt-in form contributes significantly to this percentage. Could you imagine how many less subscribers I would get if I just used one opt-in box? Make sure you have opt-in forms in plain sight at all times on your website. You never know when someone will be convinced to opt-in, and you want to make sure they have the opportunity to do-so the second they make that decision. People can not opt-in to your email list if they can not see your opt-in form. Pop-ups are effective because they aren’t blindly scrolled over- people WILL notice them. It’s foolish to not be using a pop-up on your website. They don’t have to be annoying or intrusive to be extremely effective. See: Should You Use Email Pop-Ups? Do Pop-ups Actually Work? If you want people to opt-in to your email list, it’s absolutely vital to have an irresistible lead magnet. Remember, it’s tough for most people to give away their email address, especially when they’re bombarded with incentives on almost every website they visit. You’ve got to give them a good reason to opt-in. A lead magnet alone isn’t good enough anymore. ‘Free’ doesn’t have the value it used to because they can find free information everywhere. ‘Good’ isn’t good enough. You have to provide them with something they can not refuse. Convey the idea of exclusivity – the idea that what you offer can not be found anywhere else. I personally believe email courses are far more effective than eBooks as lead magnets. When you give away an eBook, it only takes a moment for your visitors to grab the freebie and then unsubscribe. When you offer a course, you ensure that they are on your list longer, giving you a larger amount of time to prove your value. Courses aren’t for everybody, but in some instances they are way more effective than eBooks. I first took note of this idea from Stuart Walker’s website, NicheHacks.com. He deliberately makes his opt-in boxes bright and ugly to draw attention to them. I have tested this on my own site and the results are clear. After changing the color scheme of the opt-in box below my posts, the opt-in rate doubled from 1.4% to the 2.9% it’s at now. The opt-in box after my posts used to be skimmed over mindlessly by viewers. Changing the color scheme of the opt-in form drew attention to the box which has led to the increase in opt-ins. Speaking of getting your opt-in boxes noticed, many people have had success placing them right in the middle of their articles! This makes sense after all – the reader is already engaged with your content and is clearly enjoying it if they’re still reading through it, so what better time to ask for their email, right? I haven’t tried it yet but I know this method works, especially for longer articles. Tailored bonuses work extremely well, especially for opt-in boxes placed in the middle or after your posts. How To Turn Email Subscribers Into Cash! Heck, you could even just offer a PDF version of your post and it will be a convincing enough lead magnet to win over a few extra opt-ins. I haven’t tried this tactic yet but it’s definitely on my to-do list. You’d be surprised how changing seemingly small things can have huge impacts on your opt-in rates. Split-testing allows you to try a bunch of different ideas and see what converts the best. After you collect enough data, you can keep what ever opt-in form works the best and get rid of the one that doesn’t. Making simple tweaks to your opt-in forms can easily double or even triple your opt-in rates. It’s a heck of a lot easier to split test than it is to try and double your traffic, so it’d be incredibly foolish not to be continuously improving your opt-in forms. If you already have a large amount of email subscribers, it may be beneficial to add social proof to your opt-in forms. Adding a message stating to “join 15,000 other bloggers” for example portrays a few important things. First of all, it shows you’re an authority and that you must really know what you’re talking about. Secondly, it plays on people’s desire to do/be like others. People do not want to feel left out of something. Finally, it plays on people’s competitiveness. Nobody wants to feel like their competitors know something important that they do not. Now, it may not be beneficial if you only have 40 subscribers but if actually have a decent sized list adding social proof will definitely be something you’ll want to split test. My best converting opt-in form (other than the ones on my squeeze pages) is the form on my About page. If people are going to take the time to visit other pages of your site, they obviously like what you have to offer and are interested in learning more about you and your business. Why not make this easier for them by adding opt-in forms to those pages? This should really go without saying, but if you create awesome content people will want more. You’ve really got to go above and beyond your competitors. People won’t give their email out to anyone who creates great stuff – only to the best. It’s far better to create one piece of incredible content than five pieces of mediocre content. Especially now in 2015, where internet marketing is so competitive. Make your visitors desire more from you. Then give it to them in your email newsletter. If you’re branding yourself on your site, you may consider using your image to your advantage when encouraging people to subscribe to your email list. This is especially useful if you are a well known authority in the niche and are renowned for a specific skill, which you can then teach through an email course. However, if a large percentage of your visitors come from search engines and do not know you personally, it may actually lower your opt-in rates. This is why I recommend split testing if you decide to use this idea. It blows my mind how few people are utilizing this tactic. It is extremely easy to create a short 3-5000 word eBook and sell it on Amazon’s Kindle store for extremely easy leads. The goal isn’t to make money off of the book itself, but to provide people with valuable information and then convince them to sign up for your email list for more. If somebody spends 99 cents to download your book and read through it, you bet they’ll sign up for your email list without hesitation. While Amazon doesn’t allow you to give away your book for free right away, you can distribute it on other platforms for free and Amazon will match the price. This is useful for getting even more downloads to your book! Free webinars are extremely effective for capturing new leads. If you add in the exclusivity factor (limited number of participants, only available at this time, etc.) you will play on people’s fear of missing out and people will be more likely to sign up immediately after finding out about it. Some say squeeze pages are dead. I say that’s bulloney 😉 . In case you’re not familiar with squeeze pages, they’re essentially pages designed for the sole purpose of squeezing something out the visitor. In this case, it’s their email. Squeeze pages are a vital tool to every email marketer’s arsenal. Most marketers will find that their best converting page will be their squeeze page. If it’s not, something’s seriously wrong. Now that’s not to say that you should be directing your visitors to your squeeze page at every opportunity. In certain instances however, a squeeze page makes a lot of sense. One of these instances is pay per click advertising, which is one of the most effective methods for growing your list quickly. Of course, if you’re going to pay money for visitors you’re going to want to make sure that your squeeze page actually converts well. Nobody wants to waste money and the entire point of pay per click advertising is to get the best return possible. I know paying for advertising can be scary, but if you can profit from it, it doesn’t make any sense NOT to utilize this extremely effective method to build your list. If I made an average of $15 per subscriber and I could acquire a new subscriber for an average of $1, it would make absolutely no sense NOT to be paying to get those subscribers on my list, right? You really don’t need a lot of money to start. Small ad campaigns can be ran on Facebook for as little as $1 a day. When you begin turning a profit, you can scale this up nearly infinitely and grow a targeted list extremely quickly. Despite being my worst opt-in form, the Hello Bar at the top of your screen accounts for just under 10% of my opt-ins. Over time, that really adds up and it’d be foolish not to have it on the site. Hello Bar is great because it’s free, allows extensive split testing, and integrates easily with every major email marketing service. Check it out at HelloBar.com! People connect easier with someone they can see or hear. YouTube is an incredibly effective tool for capturing entirely new leads who have never even heard of your website before. Best of all, most webmasters aren’t taking advantage of YouTube’s incredible potential so you’ll instantly have an advantage over most of your competitors by being active on the platform. Your commenters are already some of the most engaged people on your site. Why not ask them to hop onto your email list? Yoast’s comment redirect plugin redirects first time commenters to a custom thank you page where you can engage with your commenters further, and remind them of the benefits of joining your newsletter. Publish your best work on other people’s websites in the form of guest posts. Guest posting allows you to get in front of somebody else’s audience, where many people are likely reading over your work for the first time. Try your best to ‘wow’ these new readers and turn them into loyal readers on your own site. You really only have one opportunity to impress this new audience so you’ve got to make the most of it. Don’t let people decide what to do after reading your post, or their decision may be to just leave. Instead, TELL them what to do. 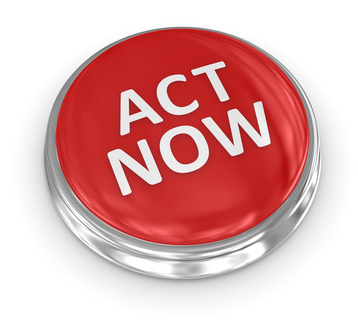 Create a call to action. If you want these people to come back to your site regularly, encourage them to sign up for your email list. You’d be surprised how many people will opt-in when you simply ask them to. Speaking of which, why not do yourself a favor and opt-in to my email list right now? You obviously like what I’m giving you, or else you wouldn’t still be here reading this article. You won’t be disappointed! The more information you require visitors to fill out, the less likely they will take the time to opt-in. Most people know you’re using an autoresponder so there’s really no need to address them personally. The only thing you really need from them is their email. People will often put in fake names anyway so there is really no benefit to ask for it. Last and most importantly, give your visitors what they want! Don’t try to convince people to want something, give them what they already desire. Continue doing so with your follow up emails, and before long you’ll have a large, engaged, happy bunch of email subscribers. I can not stress enough how important it is for you to be building your email list. If you take the time to implement all of the tactics mentioned in this article, you will already be far ahead of the majority of your competitors. Of course, all of this is useless if you do not actually know what to do with your list. I highly recommend enrolling in my email marketing course and not only learning how you can build your list further, but make the most out of those subscribers. Finally, if you have anything to add to this list or have any questions, I’d love for you to leave a comment down below letting me know exactly what’s on your mind. Should You Use Email Pop-Ups? Do Pop-ups Actually Work? Gosh – so many useful tips I don’t know which to implement first! With my time pressures, I guess I’d better pick one and come back for the rest. So I’m saving your post. I was particularly surprised by such widely differing conversion rates for the sign-up boxes. That really is worth thinking about – even taking action, perish the thought LOL! Interested to hear how you describe MailChimp because I have seen some people recommending it. I haven’t used it myself and wouldn’t trust my mail list to a free service so I agree with you on that count. It definitely pays to tweak and test and get that opt-in rate up. I’ll admit, my opt-in rate wasn’t near what it’s at now when I first put the forms up and I’m still trying to improve it further. I wouldn’t touch Mailchimp with a 10 foot pole to be honest. I was actually with them for a while until I switched to GetResponse. I was lucky not to have been banned because affiliate marketing is against their rules. They just don’t seen to like internet marketers too much. I’ve heard countless horror stories of people losing their list with no word from MailChimp. They can’t even uphold their own ridiculous terms of service correctly, and that’s not a risk I’d want anybody to take. 25 evergreen strategies you have listed here James. I am pretty sure i will be needing these tips for my new blog. Implementing these techniques is guaranteed to boost the number of opt-ins on your site. I’m looking forward to hearing about your increase in subscribers! Have a good one and let me know if there’s ever anything else I can help you with, OK? The Number 2. Use Single Opt-In is a topic that will get people to talking . I have always been on the side of double opt in, Because of the things you stated in your great article. Getting fake emails and complaints are a hassle ,that’s why i use double opt in. Hey Zora, good to meet you! I agree, it’s been a controversial topic for a while now and one that I don’t think will end any time soon. Spam complaints can definitely be an issue, but I think you’re in the clear if you make it clear that the subscriber can unsubscribe at any time right from the first email. As far as fake emails go, GetResponse automatically gets rid of them, I’m not sure about Aweber but I’d hope they’d do the same. Anyway, I appreciate you stopping by Zora and hope to see you again soon! James McAllister recently posted…Are You Updating Your Old Blog Posts? A fantastic list James, one that I’ve just bookmarked for future reference. Building my email list (or I should say growing it) is on my short list. While I’ve had some success growing my list, I know that I’m letting a large number of visitors just walk away. Seeing you conversion rates really has me thinking. I can definitely do better in this regard. I do like the tailored bonus approach. That seems like a great way to catch readers that make their way to the end of your post. I’ve commented here before on Pop Up’s, and I know the longer I wait the more people I;m using. I’ve got some time in the coming weeks, so I think I’ll focus on my email list and putting the right tools in place. Now for my question. I’m one of those pin heads (maybe I just thought you called me that) that is using a horrible free email service (MailChimp). I must be missing something. I know I don’t get the autoresponder service nor can I schedule delivery based upon a certain time in a given time zone. But it seems to work, and I’m not really sure what I’m missing here. Educate me. You’ve got me worried that my list could go up in flames if I start getting to messages marked as spam. As always, great post James. Hey Craig, appreciate another awesome comment from you man! GetResponse has both the features you mentioned you’re missing. Autoresponders are extremely important because they handle most of the work for you, as they allow you to send out pre-written emails at specific intervals. For example, when somebody opts-in to my traffic course, my autoresponder sends out one email a day on its own, I do no work whatsoever to make that happen after it’s set up. The autoresponder sequence carries on months after the person opts-in (although I’ve only recently added more follow up emails, so you may have missed them), sending out pre-written emails at pre-planned intervals. This includes many of my promotions (which are delivered to new people every day), so really, my autoresponder is the only reason why my income is consistent. GetResponse does have a feature called time travel which allows you to send out emails based on the subscriber’s local time. For example, if I wanted my email to land in their inbox at 11AM their time, I just have to click the time travel option and choose 11AM, and it will send the email when it’s 11AM wherever they live. This increases open rates drastically and is a feature I’m in love with. If you want to learn more about autoresponders or GetResponse, feel free to contact me. An autoresponder is probably the most important tool for business success and will be paying for itself within a month. You’ll love it. By the way, if you end up going with GetResponse, I’d really appreciate it if you’d purchase through my affiliate link 😉 . If not, that’s ok too. In any case I’d advise you to get rid of MailChimp ASAP, GetResponse allows you to import your current list so you won’t lose any of your current subscribers. Talk to you soon Craig! List is more than wonderful and well covered all the things that a person can possibly do to build a big email list. There is a thin line of difference between irritating a visitor and offering him maximum at your blog. 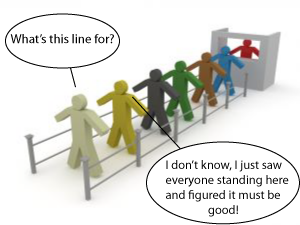 So one should not cross the limit where the maximum efforts to provide value ends and stay away from irritating the visitors by forcing them to subscribe. The idea of multiple optins is wonderful. For this purpose a blogger can create multiple incentives to bribe the visitors subscribe to email list. It is not difficult one just needs to merge a few top posts of one subject and create a small ebook to put it in an optin form as an incentive. He can create several such incentives by just merging high quality related posts. Secondly placement of an optin form within the post equally requires a little care. If your paragraph ends with describing the benefits of building a blog community so your optin form below this should have an incentive that offers to solve the problems of readers related to building a blog community. I do appreciate your quality of contents and am just coming here after reading your interview at Joy’s blog. Thanks a lot for sharing this wonderful list post. It’s definitely important not to irritate your visitors and you’ve got to have a good balance between promoting your email newsletter and giving them value within your content. I do think it’s important to make sure the visitor knows the newsletter is there and that there’s value inside, but you definitely should not push it in somebody’s face if they do not want it. That was a fear of mine when I first installed my pop-up, but it only pops up once a month so it’s not too bad. Not a fan though of people that use entry pop-ups or pop-ups that appear on every page you visit. I’m sure it gets them more emails but that tradeoff is just not worth it to me. Thanks for stopping by Mi Muba, it’s good to see you again! I actually want to touch on your point about single opt in. You’re correct about that. I remember when I was struggling to get signups early last year, it was frustrating because people would sign up, but then they wouldn’t confirm. At one point, I had 234 people in the Que just waiting there to confirm. But then when I switched to single optin, it was great. But one thing I’ll say about double optin. It really narrows down and lets you know who your readers are. If they take the time to actually confirm the optin, they’re more likely to stick around because they confirmed that they’re interested in what you have to tell them. Andrew recently posted…Bloggers Beware: What WordPress Plugins Are Truly Essential To YOUR Blogs’ Success? Yeah, it’s really surprising how many people won’t take the time to opt-in. Sometimes its out of pure laziness, other times people forget or can’t find the email because it got sent to the wrong folder. Double opt-in definitely leads to higher open rates, but overall single opt-in tends to get more opens just because there are so many more people. I prune people off my list that don’t open my emails so I don’t really see a benefit to going back to double opt-in. I definitely think it’s something that everyone should split test. Split testing was the only way I could know for sure that single opt-in was right for me! Thank you so much for visiting Andrew, hope to see you again soon! This is a great, comprehensive guide to building a list on your blog, James. You’ve clearly put a lot of thought and research into it, and it is a great resource for your readers who want to know how to more effectively drive folks to their email list. You even give a little glimpse into the lead magnet that they’ll be opting in to get. I know the email series, bootcamp type of lead magnet has many good features, which you do a nice job describing here. I’ve actually found that when I do that, though, so many people open day 1, then few day 2 etc. So, they never really get your “whole” product. Someone might argue that it doesn’t matter, because you’ve got them on your list. But as you point out, building a relationship and engaging with people is really the key to making email marketing effective. And if your open rate is poor, you don’t even get a chance to engage people. This is a great post for getting things rolliing in the right direction with their email opt ins, James, and yes… that really is THE name of the game for most bloggers. Hi Donna! Thanks for the compliment. I’m surprised to hear about your results with an email series. I suppose it is one of those things you’ve really got to split test because like you said, different audiences will react differently and split testing is the only way to know for sure. For me it was the opposite – lower engagement rates (not to mention unsubscribes) after the subscriber took my lead magnet. I’m actually getting ~75% open rates for my course as an average which is phenomenal to me. People tell me they can’t wait for the next day’s email to come and I’ve gotten a few people asking me if they can pay money for instant access to the rest of the course. Not saying this to brag but to show just how drastic the difference between drip feeding content or offering it all for once has been for me. Now if only I could maintain that open rate and engagement for the rest of my autoresponder series! Appreciate the comment and social shares Donna, thank you so much! You really did your due diligence with all of these tips. ONE thing that you mentioned that I don’t do enough of and embarrassed to say is split testing. I know I know, don’t laugh but it’s true and there’s many like me that do t do this. But besides that I’m doing quite well. One thing you stressed that I also can back you on is paying for ads, especially Facebook ads. When I use them I was getting g 2 to 3 leads a day on average. Keep in mind I had to go through a plethora of capture pages, but it all worked out. I also want to add more opt in forms to each post. So far I have two but I like to add one at the top and a popup To see if the opt In rate improves. you have done a great job by sharing these tips. I will put some into use! Thanks for the share and I hope you’re having a great week! Hey Sherman, good to see you! Don’t feel bad about not split testing. That just means you have something new to do, and can look forward to a lot of new leads! It’s definitely important (probably the most important thing on this list) because it’s the easiest thing you can do to increase your conversion rates. As I said, split testing the opt-in box below my posts allowed me to DOUBLE the amount of conversions, and I’m still improving it further. Glad to hear you’re utilizing PPC. Facebook ads are a favorite of mine and are extremely effective if they utilize them correctly. You do often have to spend a bit of money until you can get it down but after that it’s pure profit, and probably the easiest and quickest way to build up leads. I’m running a few different campaigns at the moment and believe my knowledge of PPC is a huge factor in my success. One thing I’m going to be trying here pretty soon on Help Start My Site is Facebook’s retargeting ads. I use these on one of my other sites and it works extremely well, not to mention the clicks are incredibly cheap. Thanks again Sherman for stopping by and I hope to see you again soon! 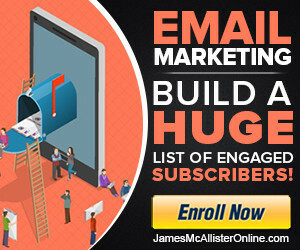 James McAllister recently posted…Should You Use Email Pop-Ups? Do Pop-ups Actually Work? Great post – full of very useful and actionable tips! My two favourites were (1) the Yoast plugin you mentioned “Comment Redirect” which I had not heard of previously (but have experienced previously and probably today as its my first time here!) and (2) the conversion rates for the different opt-in boxes – very enlightening. The Popups debate will rumble on I’m sure. Its not something I’ve implemented yet, but if I did I think it would be the more discreet slide up box as a reader scrolls down a certain percentage of the page. David Hartshorne recently posted…Website Security – Are You Just Cannon Fodder? Hey David! Great to meet you and thank you so much for your comment, share, and follow. I’m not using Comment Redirect on here but I do use it for other sites and it converts well. I do not remember my average but I know it’s relatively high. Reason I don’t use it on here is most commenters are in the make money online / internet marketing markets and tend to opt-in less often than their non-mmo/im counterparts. As far as pop-ups go, I honestly think almost everyone should be using them. You can set them so they only pop-up every X amount of days, after X amount of seconds on the site, only when the person gets to the bottom of the page etc. They don’t have to be annoying to work well, and my pop-up is my highest converting opt-in form by far. Something worth split testing at least. The results may surprise you! Thanks again for commenting, hope to see you again soon! Some great tips James. Thanks for posting this. I agree, that ugly ads/optin boxes/salespage often out perform the pro slick style counterparts. Some of my ugliest banners have gotten the most clicks. About to implement a two-step optin on my sites, it’s suppose to get higher conversions, we’ll see. Another important point you brought up, everything should be testing, so many marketers do not test. It’s a shame really. We onl have so much traffic, we need to make the most of every hit we get. And yes the tailored bonuses is a great idea. I’ve thought about doing that, just concerned I’ll end up with too many lists and it will turn into a big ole mess. Have not used Mailchimp myself, but heard the same as you said, they don’t want users who market. Which makes little sense to me, why have a AR service if your not going to promote something? Why put the time and effort into building a list if your not going to get some kind of return? On a side note, Aweber has the feature of letting you send emails based on subscribers time zone. Ron Killian recently posted…Is This Killing Your WordPress Site? Hey Ron, thanks for commenting! Two step opt-in does technically lead to a higher conversion percentage (because the audience is slightly more engaged) but most people will find that it leads to less conversions overall because there are so many less people on your list. I’d split test both and see what results in more overall revenue. You’re right about testing, it really amazes me how many people do not do it. I’ve always been one to focus on conversions before traffic numbers. 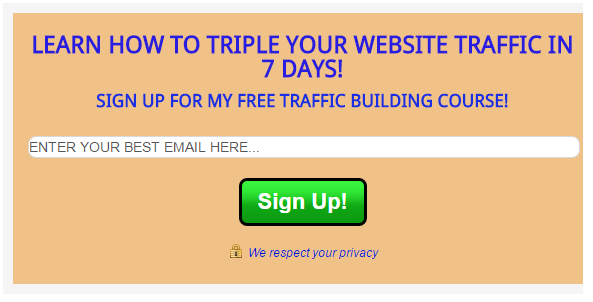 The way I see it, it’s way easier to double your opt-in rate than it is to double your traffic numbers! MailChimp is a nightmare. I’m glad you managed to avoid them. Thanks again Ron, hope to see you again soon! I liked your starting statement, if you are not building your email list then you are an idiot, recently i realized the value of email list, now i am concentrating to collect emails, these 25 methods are well accepted methods to increase email list, using HelloBar, Squeezed pages, asking our readers to subscribe are the priority methods to use first. Siddaiah recently posted…What Is An Opt In Email Marketing & Its Benefits? I’m glad you recently discovered the value of building your email list. The truth is, it’s one of the most important things you can do as a blogger because it allows you to get personal with your most engaged readers, and privately promote to them as well. Most of my income comes from sales to people on my email list, so it’s definitely an area to focus on! Glad I could help Siddaiah, hope to see you again soon! James McAllister recently posted…Is Passive Income From Blogging Actually Possible? Thanks for sharing your own conversion rates as well – doesn’t make me feel half as bad now as my stats are actually spookily similar to yours. Thank you for your compliment and I’m glad I could help! Hopefully we can look back on our converison rates a few months from now and see a significant amount of improvement. I don’t think they’re bad by any stretch but we should always be looking to improve, right? I never thought about having opt-ins in the middle of a post. I guess I though it would be distracting to the reader and they would just glaze over it. But I guess if it’s related they’re be hooked. I had that thought for a while too, but I suppose if your articles are long in length it doesn’t do much harm to throw in an opt-in box. Content upgrades / add-ons are a growing trend for marketers and from what I know they work very well. They’re definitely in my plans for this year! Thanks Lea for stopping by and commenting, I appreciate it! The importance of building an email list cannot be undermined. It is important taking steps that will ensue that email opt ins are increased. The 25 guaranteed ways you have shared here are on track. I like the details explanations, and I must add that every email marketer should never forget the essence of easy navigation and quality content. Subscribers lookout for websites that would offer them real value before they click the subscribe buttons! I left this comment in kingged.com where I found this post! I’m behind with my commenting once again but had to get by here and check out your post. While I do agree with the majority of what you shared, I don’t agree with it all. That’s the beauty of this though right! Some things work for some people while they obviously don’t work for everyone. I still use the double opt-in method mainly because I do want to have a very targeted list and I have very few that don’t do the verification. I guess if you want to build a quick one and don’t want to bother people then that would be the direction to go. I also believe that just asking for emails is way too impersonal. You can’t even address them by name but as you know I also ask for a phone number. People continue to tell me I’m nuts but it works beautifully for me and boy are my prospects surprised when I actually do call them and we do have a great conversation. Trust me when I say it’s a HUGE selling point my friend. Never let anyone tell you differently until you’ve tested it yourself. I do have opt-ins all over my blog and on other pages but my highest converting one is still my header. Will be changing some things up soon though and testing more things out. Thinking of doing the course too and getting away from the report although I’m still told it’s a good one and I believe it is as well. What I share works. Great list here James and thanks for sharing this with us. Hope you’re having a great week so far. Hi Adrienne! Appreciate you stopping by and taking the time to leave an awesome comment. Right, some things aren’t going to work for everyone and that is why I think it’s so important to split test everything. Split test your lead magnet. Split test single vs double verification. Split test your form fields. Even small changes can have huge effects on conversion rates, open rates, etc. One should never seek to stop improving right? I probably should have made that more clear in my article. When using double opt-in and/or asking for their name, my audience was certainly more engaged. More replies, higher open rates, higher conversion rate when it came to promotions. However, my opt-in rate decreased drastically. When I made the switch to single opt-in and only the email field, I got so many more opt-ins that it didn’t matter that my engagement rate was lower – overall I was getting significantly more opens, click-throughs, and sales. This was true across all three of the sites I’ve worked with. While most people will see similar results that doesn’t mean EVERYBODY will, and that’s why testing is so important. If there was really such thing as a one-size-fits-all plan in business everyone would be a success! I have no doubt in my mind that your list is far more engaged than mine, and if what you are doing works for you than there is no reason to change it up right? Thank you so much for your valuable comment Adrienne, I really enjoyed hearing your viewpoint on this! This is an interesting debate. In a way, I agree with you and everybody who has commented. As I am new to list-building, there are so many points for me to consider. In fact, I paused my list-building earlier today, as I am also in a stage of re-focus, and I’ve just rebuilt my website. But I will get back to list-building with a new focus and a short course. Nathan Ambrose recently posted…Does My Blog Look Big in This? Hi Nathan! Good to see you again and thanks again for the Triberr invite. I think the most important thing when it comes to list building is to just do it and constantly seek to improve. The specific strategy you decide to take will be dependent on you and your audience but if you’re constantly improving your opt-in/conversion rates, you’re heading in the right direction! Glad to hear you’re sorting things out and feel free to shoot me an email if there’s anything I can help you with, OK? Thanks, James for your help. What a very comprehensive article you have here. Well, I appreciate it so much that you took time to write and share these tips with us. Well, based on my personal experience, I think pop ups can be very annoying. I personally don’t like it. But I think, its one of the best ways to convince your readers and visitors to subscribe on your list. You just have to be more creative about it so it won’t look like a distraction. Thanks for the share. I don’t think anybody really likes popups. The question you’ve got to ask is do they work (absolutely) and is all of the extra opt-ins worth the chance that you may upset one or two people? That’s a question only each individual can answer but I would say absolutely. There is a difference between a really annoying popup that pops up on every page, and one that only appears every so often or only pops up under certain conditions. The way I see it, if somebody is going to be so bothered by a popup that they can’t click an X to get to my content, I don’t want them on my list and I do not want them on my website as a result. At the end of the day the main goal of a blog is to make money, and for most people that is done by getting them onto an email list. A popup is a good way to achieve that. James McAllister recently posted…Why Are There Bad Blogs Doing Better Than You? You shared great ways to increase the email subscribers. Few points of them I am using and get some good results. Try to get use other tactics to increase some more subscribers. Glad you’re finding success with the tactics you’re using. As marketers we should always aim to make the most from each visitor, so doing what we can to get more subscribers is extremely important. We can always improve our opt-in and conversion rates, so be sure to implement some of those as soon as possible! If they work great for you, awesome. Keep them. If not, no harm done right? Hope to see you again soon Yavan! I agree about using single optin, it has helped a lot. Another strategy is to use 2 step optin forms. These work because they engage the reader. You create these by having a download button for your lead magnet. When someone clicks on it it brings up a pop up with your optin form. I have seen huge increases in conversion rate from this! Also, you mention using pop ups, do you have a recommended WordPress plugin for this? Hey Chris, great to meet you! That’s a great idea, and I can see that one working especially well with content upgrades or tailored lead magnets for specific posts. Thank you for adding that because that one is bound to help some people out. As far as plugins go, I personally use a plugin called Pippity, although OptinMonster is another great one (although it costs 4x more at $200.) Both have a solid set of features and attractive opt-in forms, and I haven’t heard any complaints from either so you can’t go wrong with one of those. I appreciate you taking the time to add something to this post Chris. Hope to hear from you again soon! I definitely need to test that hellobar plugin, especially seeing how it’s free and I’m noticing more and more of the successful online marketers such as yourself, not only using it, but making reference to using it as well. Thanks for sharing it as yet another proven resource! If a marketer, but especially a brand new struggling newbie that gradually over time (of course), implemented just 5- 10 of your proven tips James, (testing and monitoring the results as they go of course), they are definitely going to start to see some positive results! And here’s something else that’s really cool for anyone just starting out, but especially a struggling newbie! That’s struggling on what to write and or blog or make short “how to” videos about! They could very easily take your 25 plus totally excellent tips, and create a really cool follow up e-course follow up series! And just expand (not plagiarize!) what you’ve already shared right here and they would have their first 25 plus autoresponser follow messages/lessons! Or if they wanted, they could simply do a weekly broadcast email to their list, in which they cover (in their own words!) of course each point you shared! And just expand a little bit here and there! Or if they’re really feeling frisky and they’ve got a little more experience (and therefore) a little more confidence. They can simply do a weekly short “how to” video follow up or mix it up a little, some videos and some text messages, but basically in their words, just talk and share your 25 excellent tips and they’ve got both a really nice semi pre -written e-course, by way of 25 plus weekly tips! So they don’t have to continue to struggle, trying to always come up with some really fresh content! They can curate some awesome content like this! I could go! But in any event, great job on this awesome content James! I always learn several things when i study your extremely well written posts! Mark recently posted…Five Incredibly Sinister Ways Newbie Entrepreneurs Constantly Sabotage Themselves! This is a great post and I see that a lot of thing that you have mentioned in your post, you are utilizing on your website. I think some of these tips are very useful and I will have to put them on my site. I think for some people the problem is creating a free course, ebook, or something that will want people to sign up. It really does take time do build something that is a free and valuable. I like the pop up idea and may have to find a email service that has a great looking one. If you have any in mind, like the name of the one you are using or better ones, I would like to know about them. Thanks for sharing.